View More In Golf Club Bag Accessories. The Intech Crossbar golf travel bag support rod protects your clubs against breakage. 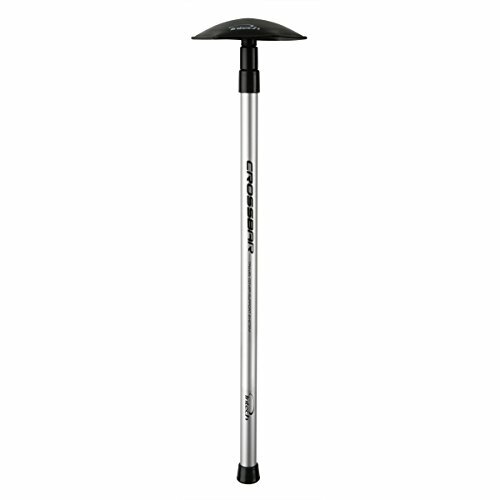 Features a protective top support base and a fully adjustable 3-Piece telescopic aluminum rod system. Fits all travel covers and when fully extended measures 52" - enough room for over length drivers with a big Headcover. Collapses down to 25" and top unscrews so you can store it in your bag. If you have any questions about this product by Intech, contact us by completing and submitting the form below. If you are looking for a specif part number, please include it with your message.